Businesses should consider giving back something back to the communities that support them in times of economic hardship, a leading philanthropist has said. 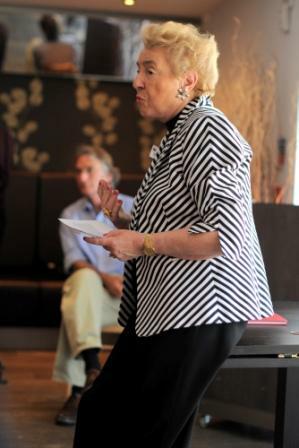 Dame Stephanie ‘Steve’ Shirley spoke to Cornish businesses yesterday, telling them that they can get a lot out of supporting local groups and causes. Dame Steve, 77, who was a female pioneer in the world of computers in the 1960s, has given away large chunks of her £150m fortune in the years since she sold her businesses and retired. Speaking to Cornwall Community Foundation’s Cornwall 100 Club at The Cornwall Hotel and Spa, near St Austell, she spoke of the “pleasure of getting involved” that donating money gave her. “If it is local, you can see the effect of what you are doing,” she told the assembled group.